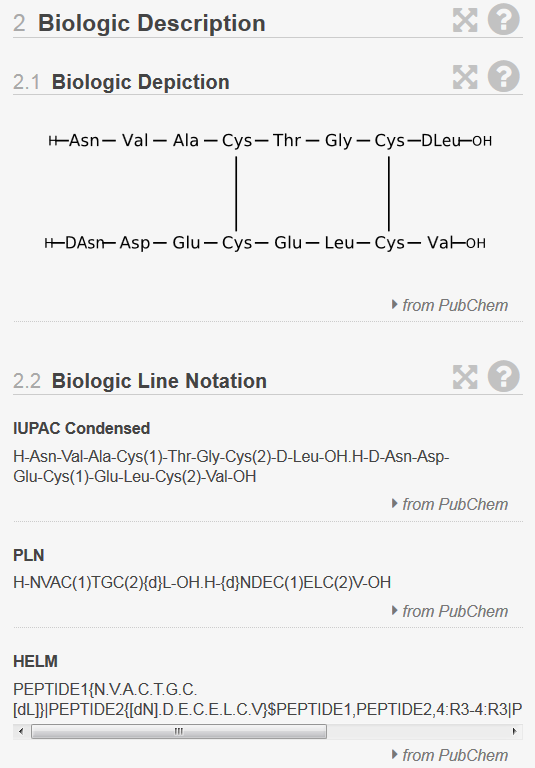 Half a million molecules on PubChem have just had a new section added entitled “Biologic Description”. This includes a depiction of the oligomer structure and several line notations including IUPAC condensed and HELM, all of which were generated using Sugar&Splice through perception from the all-atom representation. 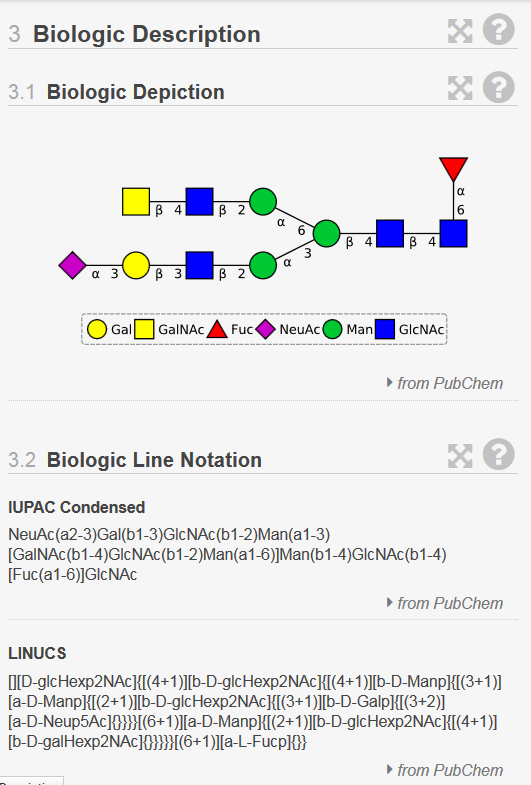 Since the original development of Sugar&Splice was as part of a collaboration with PubChem, it is great to see these annotations finally appearing as part of this important resource. Previous blog posts have shown examples of the sorts of peptide depictions that Sugar&Splice can generate. Here is how one appears on PubChem (CID118753634). As ever, there is always more work to be done on improving depictions and perception, and we look forward to further increasing the coverage of biologics in PubChem over the coming months. This position is announced within the BIGCHEM project. Read about the carrier development perspectives. Check eligibility rules as well as recruitment details and apply for this position before 20 March 2016. Objectives: In the life-sciences, data is being generated and published at unprecedented rates. This wealth of data provides unique opportunities to get insights into the mechanisms of disease and to identify starting points for treatments. At the same time, the size, complexity and heterogeneity of available data sets pose substantial challenges for computational analysis and design. develop and apply methods to systematically account for noise and experimental errors in the search for active compounds. Planned secondments: Three months stay in NextMove to work with data automatically extracted from patents using unique technology of company. Three months in HMGU to collect data from public databases such as ChEMBL, OCHEM, PubChem. Employment: 36 months total, including Boehringer Ingelheim, Biberach, Germany (months 1-18) and the University of Bonn, Germany (months 19-36). Enrollment in PhD program: The ESR will be supervised by Prof. J. Bajorath from the University of Bonn and by supervisors from Boehringer Ingelheim. Salary details are described here. Have experience in data mining and statistics. Good knowledge on medicinal chemistry is a plus. Good knowledge on programming in mainstream computer languages and UNIX/LINUX operating system. Master’s degree in Chemistry, Bioinformatics, Medicinal Chemistry, Informatics/Data Science or closely related fields.